The jury has retired to consider its verdict in the Cathy Kelly murder trial. William Kelly, 42, denies killing his mother in February by assaulting her and then setting her on fire. 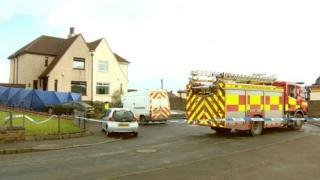 Mrs Kelly died in the home they shared in Kilmarnock after a fire broke out. At the High Court in Glasgow on Thursday, judge Lady Stacey told jurors to take as much time as they need to reach a verdict. Mr Kelly claimed his mother's death was an accident. He said he spilled petrol over his trousers and shoes while cleaning a car part in the garage. He told the court minutes later he found his mother on the living room floor and lit a cigarette as he knelt over her to check if she was ok.
Mr Kelly told the court: "I've sparked the lighter to light the cigarette. Then it was a blue flash."